David has recently started to build the Monogram rocking chair using a combination of different timbers. 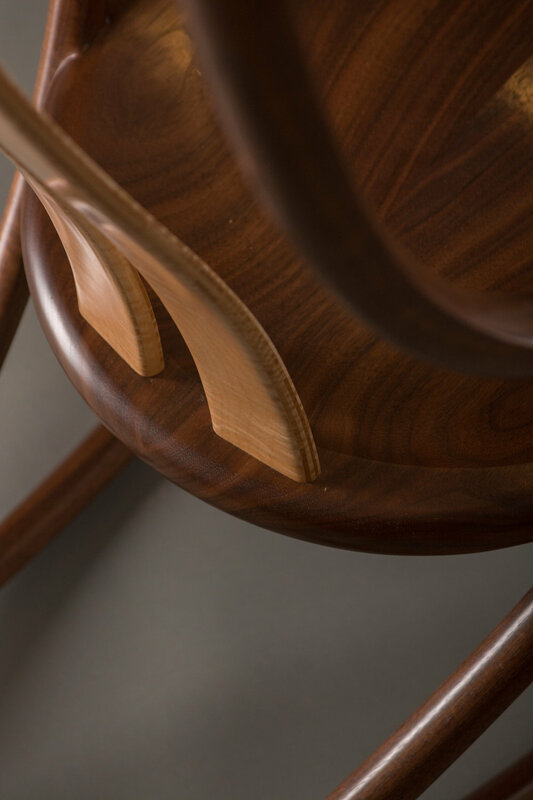 The first of these, as pictured, uses light coloured rippled maple for the back-rest as a contrast to the dark American walnut of the seat and frame. 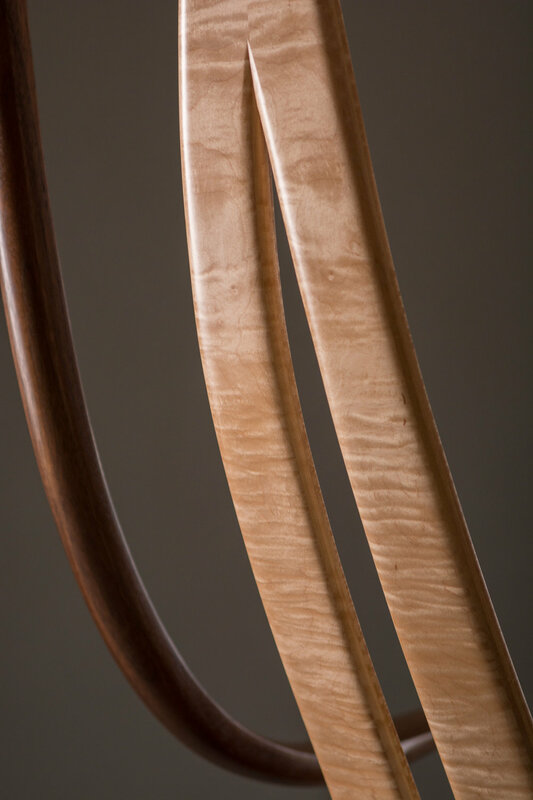 Rippled maple is sometimes called ‘Fiddleback’ as it is also the timber traditionally used in the backs of violins. The resulting interplay of colour and texture adds a new element again, striking and absorbingly rich.